In an effort to get people to stop pestering me for the photos of last summer's Moo picnic and UK cycle trip, I've finally used up the film and got it developed. These long overdue pictures should start materialising on the appropriate webpages soon. 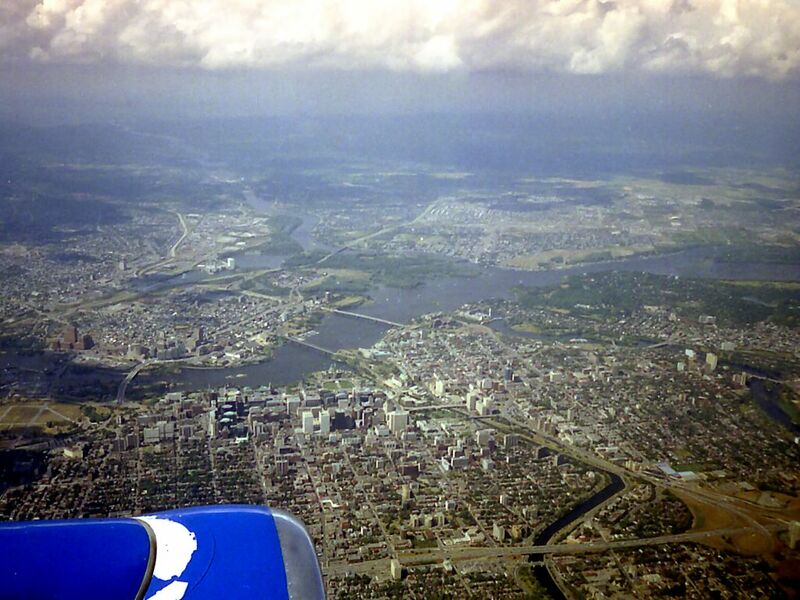 Among the photos was a nice aerial photograph of downtown Ottawa which I'd completely forgotten about. It was taken in August 2001. Sorry about the engine nacelle in the lower left; although it was annoying to have in the photo, it was handy to have in the air.